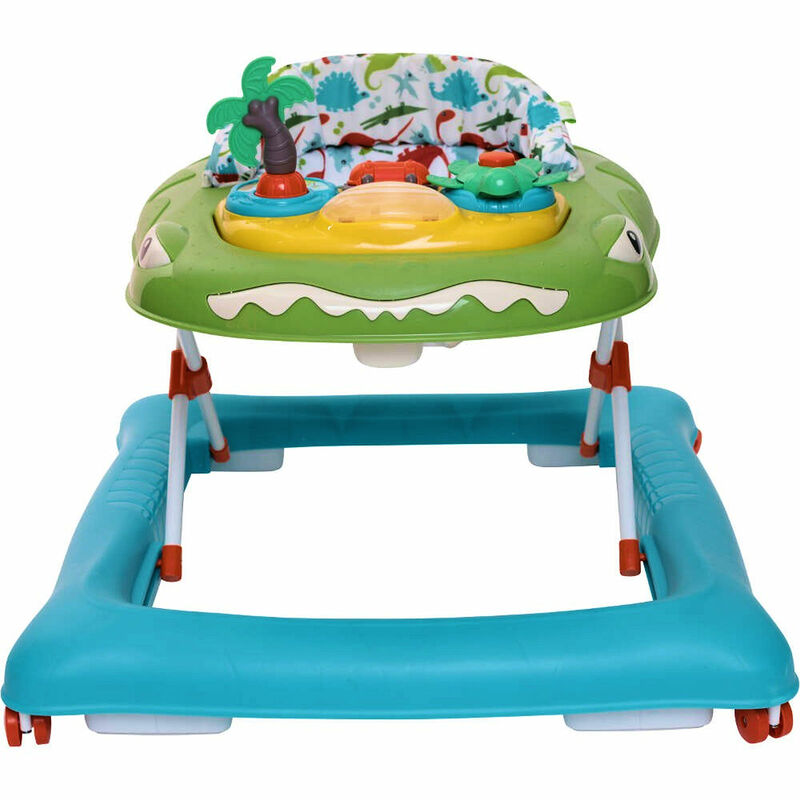 This fabulous Baby Walker From My Child will provide endless entertainment for your little explorer. 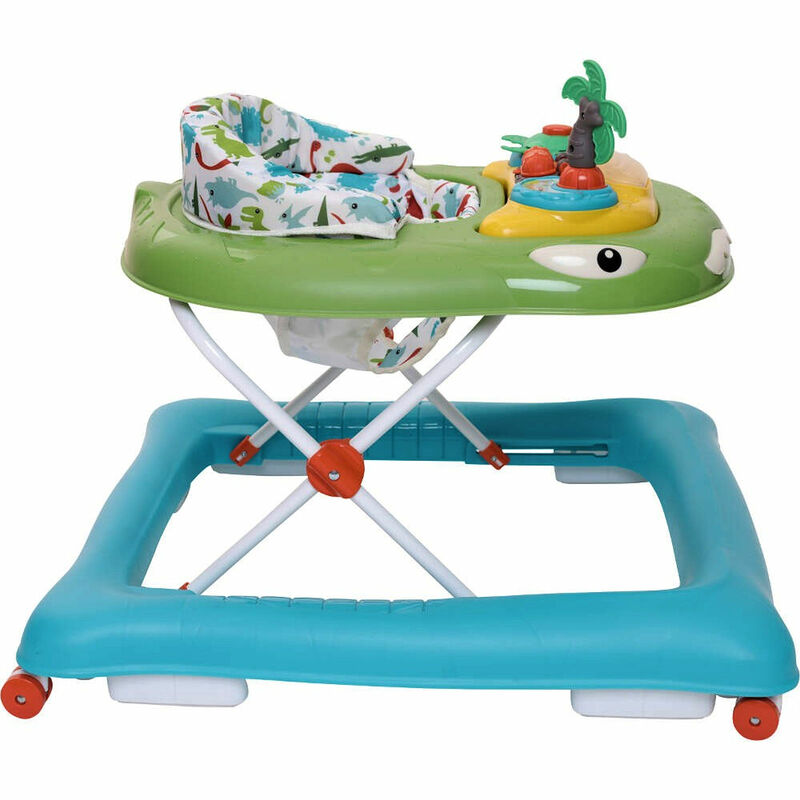 The height adjustable Walker includes an electronic, interactive play tray with lights, sounds and music which can be easily removed for snack times. 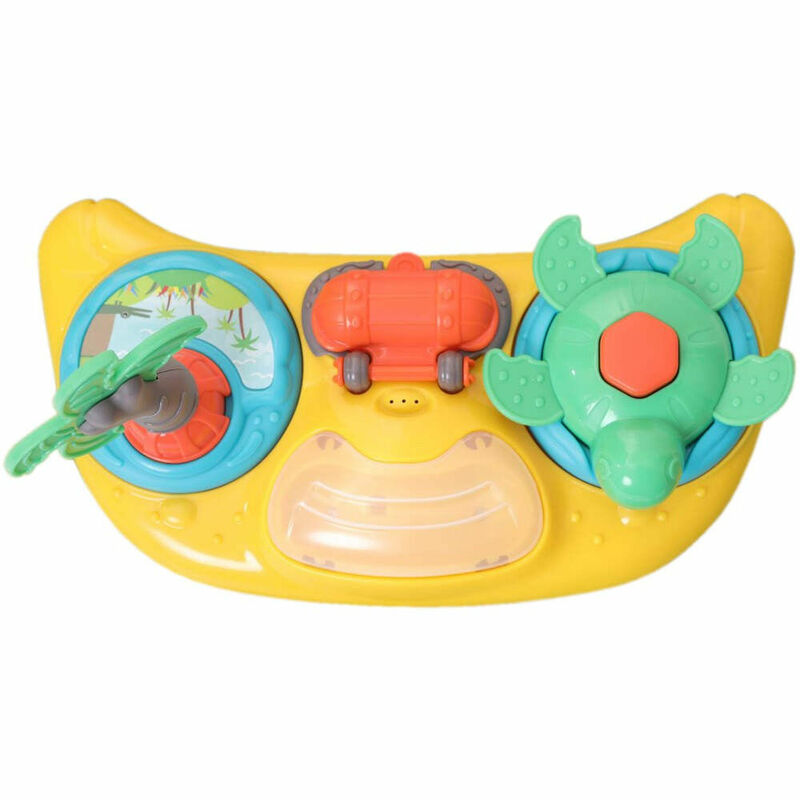 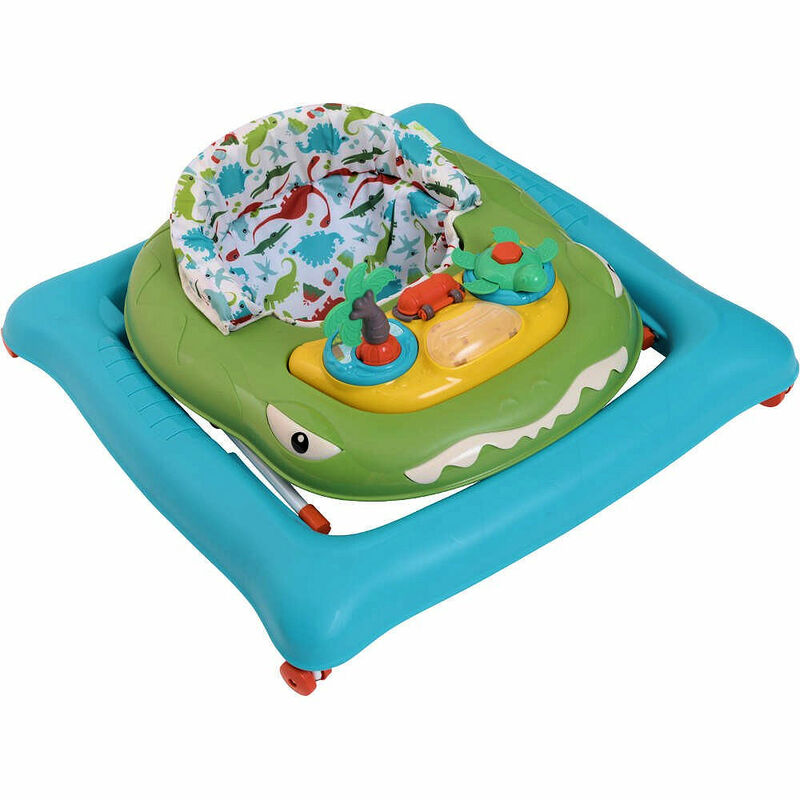 Featuring an adorable wiggling turtle, peekaboo mirror, flip up chest and twirly palm tree this is sure to catch the imagination of your little one. 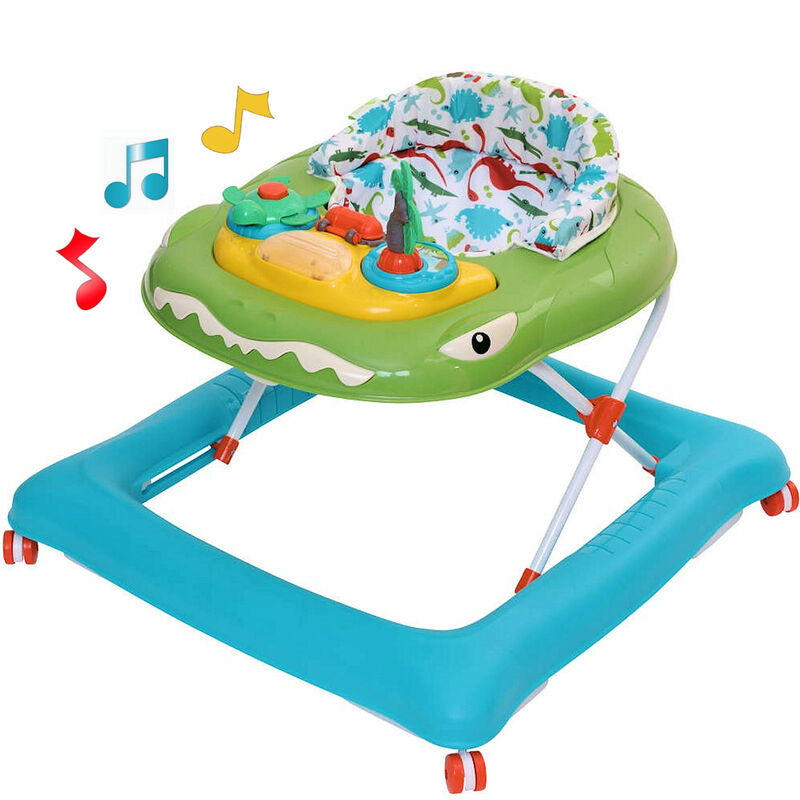 With its bright and colourful design the Dino Walker encourages the development of fine motor skills along with cognitive development and is perfect for getting those little legs going!